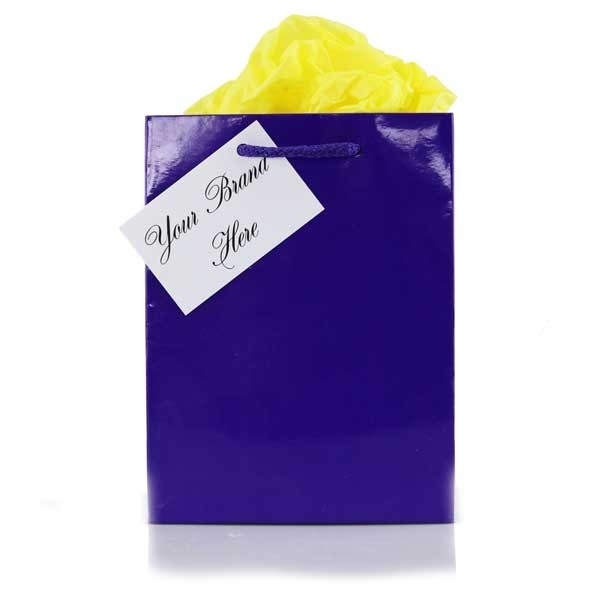 If you'd rather put together your own goodie bags with contents that you have sourced yourselves, we do have our fabulous premium rope handled gift bags finished with a personalised Gift Tag available for purchase. There's no minimum order, and they make a great cost effective alternative to printed bags for smaller quantities. We can finish the gift tag with your branding/artwork/logo and wording in full colour and provide a sheet of tissue for you to top your contents with. The bags shown are our standard size (small, approx A5 15 x 20 x 8 cm), but we have extra small, medium and large also available - please just ask for details.